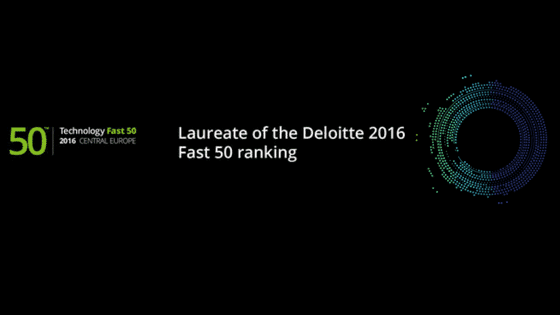 Neoteric was ranked in the recent Deloitte report Technology Fast 50 as one of the fastest growing tech companies in Central Europe. Deloitte, a global authority in the consulting branch, recognizes and profiles fast growing and most dynamic technology companies in the region. The choice is based on the revenue growth over the past 4 years – in this edition, it was 1057% on average. Although there are 17 companies from Poland, Neoteric is the only one from Gdańsk and from the whole Pomeranian region. Wondering who else is on the list? You can get the report here! SkillHunt – the winner of the national final of Central European Startup Awards in the Best Early Stage Startup category; a recruitment platform which helps to hire top developers for Amazon, Hempel, Unified Factory and other companies. Appoint.ly – a tool which makes scheduling appointments easy; used by professors at Berkeley, UCLA and Wharton, embassies, recruitment agencies, startups and many individual users. SaaS Manager – the winner of Pitch to London, AmberHub Startup Contest and the winner of the audience poll at infoShare Startup Contest and InternetBeta2016, which cuts time-to-market of SaaS applications. And, of course, congratulations to all other laureates – we’re proud to be in such great company!